Five jam-packed curriculum lessons for ages 6-12. Learn how to be a leader from David’s example (for part one, click here). With this second installment, kids learn what made David so special, and how they can became men and women after God’s own heart as well. 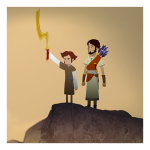 Take them on a mind-blowing journey towards the epic conclusion of the First Book of Samuel. Use this series right after David Series 1, or have another series in-between! 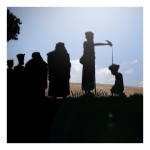 Each of these five lessons come with a top notch animated story that follows David’ s life. 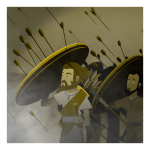 The script was written after thorough theological and historical research, including most recent archeological finds.The music was custom-scored to fit both a cinematic feel as well as a modern, grungy finish; bringing the tension of that time home today. This second series of David will have kids’ jaws drop! 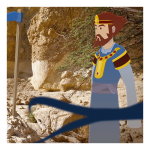 Follow the amazing story after David flees from Saul. From hunted refugee to king of the nation, David was a leader in all situations. This series kicks off at 1 Sam chapter 20 (when David’s time at Saul’s palace concludes) and tells the story ’till the end of the book when he’s crowned king of Judah. 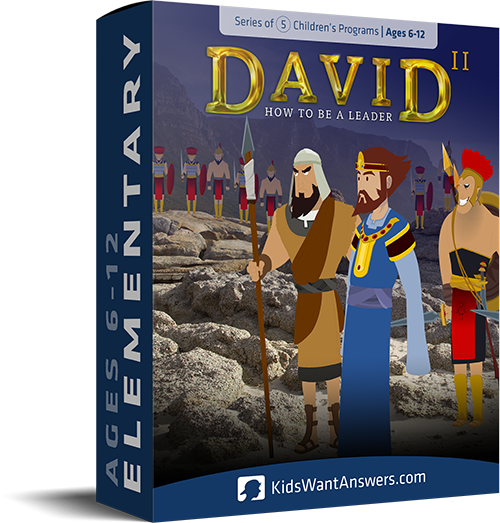 In this lesson, kids get to see how David was a leader inoneof the worst periods of his life. He became a hunted fugitive, living in a cave, but still served 400 people! True Biblical leadership is just that: serving others. Help kids learn an essential life-lesson: to never take revenge. Kids will see how David got chance after chance toget even with Saul. But he didn’t.He left it up to God to set things right. Lesson 3: How to be a great leader by “being sneaky”…in doing good! 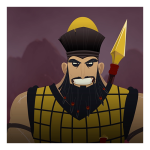 In this epic conclusion of the story, the kids will see the result of two lives; Saul is destroyed, but David becomes victorious. Kids will learn how each one lived for something different, and they’ll be faced with the question: What—and who!—will you live for? (This lesson includes salvation emphasis). What Will This Do For Us? Fully editable: No need for fancy design software. If you need to edit the screens, you can do so in the PowerPoint/Keynote files that are included. Always organized: A lesson’s image files come in one handy folder, all neatly numbered in the order of the lesson.